Grant News Press is inviting nonprofits, grant recipients, individuals, small businesses, and funders to write original informative articles for the nonprofit and small business grant seeking community. On Grant News Press, you can become a published writer by sharing news about your organization. Do you have a story to tell of how grant funding provided new opportunities for you, your clients, or community? 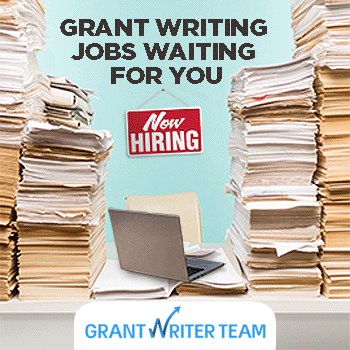 If you are a writer with knowledge of grants, nonprofits, organizational management, grant writing, business, and/or crowdfunding - then you are invited to write original, informative articles for the nonprofit and small business grant seeking community. Pay it forward. What strategies have you developed that would be beneficial to other organizations? Click the following link and pitch your article to our Editor. The link will then direct you to an article planning form. Once approved, you will have access to write and submit it for publication. You will have your own byline and an About the Author column generating publicity for you and/or your organization. Insights that will help organizations and businesses build capacity to accomplish their mission. This is a unique new opportunity developed by Libby Hikind, the founder and CEO of GrantWatch.com, GrantWriterTeam.com, GrantNews.press, and the soon to be released: Uhelpfund.com and GWI.education. About the Author: Libby Hikind is the CEO and founder of grant information websites. & not by any government agency.